Close To You was written by Burt Bacharach & Hal David. The song was a huge hit for The Carpenters, a brother-sister Duo - Karen and Richard Carpenter. 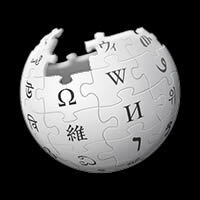 They recorded the song in 1970 and released the single on May 15, 1970 from the album of the same name. Chords in A♭ Major: D♭, D♭6, D♭maj7, D♭/9, D♭maj9, C7sus4, Cm7, B♭m7/E♭, E♭7, F7, Fm7, A♭, A♭maj7, A♭maj9... all charts below. Why – y – y – y - y____          Close to you          ...repeat and fade. Please Note: When playing C7sus4, it may be easier for some of you to barre the first 5 strings with the first finger as it can be a bit of a stretch. It won't have any effect on the sound of the chord as the extra strings are covered by fingers 2, 3 and 4 which some of you may want to play as a mini-barre using your 3rd finger. Level Of Ease: Fairly Hard unless you are a competent player. Beginners may find this a little testing, but you will get there with time and practice... you may want to download the version without a key change (much easier). This version of the song is in the key of G Major with a key change to A♭Major... 4/4 time. It is quite a difficult song to play due to the chord changes and key change. We could use a capo on the 8th fret and play in the key of B Major with a key change to C Major. The chords would be easier, but the overall sound would be pitched too high. Once you place a capo past the 5th fret, things start to sound a little 'iffy', unless you are after a certain effect. You could place a capo on the first fret and play in F# Major with a key change to G Major. This still requires some 'testing' chords before the key change. Cadd9 is a C chord with an added 9th which in this case is an added D note... can also be written as C/9. The chord formula for an added 9 is 1 - 3 - 5 - 9 = C - E - G - D. This is not to be confused with C9 where the chord formula is 1 - 3 - 5 - ♭7 - 9 = C - E - G - B♭ - D... can also be written as C7add9. The D♭/9 is a fairly hard chord with quite a stretch. It can be played several different ways. Because you have to play the D♭/9 and D♭ in quick succession, I have chosen the voicing above. Other voicings include x43141, x4314x, x4364x, 9-8-11-8-9-x, x-x-11-10-9-11 (this works well if you use the 'E'-shape barre chord starting on the 9th fret when you play D♭ - very easy transition from D♭ to D♭/9 - sounds a little high in pitch though, compared to the rest of the song. Gmaj7 can also be played like the A♭maj7, except that you play it one fret lower with the barre on the 3rd fret instead of the 4th fret... 354433 or you can play the classic 'let's do some stretching' xx5432. This song is well suited to piano players due to the rapid rate of chord changes in certain parts of the song. You don't have to play all the different G , A♭, and D♭ chord extensions. You can just play a straight G chord over the Gmaj7, and an A♭ chord over the A♭maj7 and A♭maj9 chords - same for D♭. However, if you can play all the chords, it does sound better. This song is not recommended for beginners as you will need to use several barre chords. Once you learn some barre chords, make sure you come back and give this song a go... once you master it, you'll be glad you did. If you are not sure of all the chords, make sure you spend time practicing them before you play the song. Listen to the song a few times and get a good 'feel' for it. When you are familiar with the tune and can play the chords smoothly with the minimum of fuss, you are good to go. 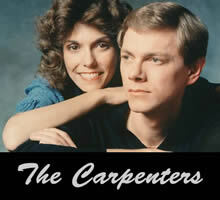 THE CARPENTERS chords and lyrics are property and copyright of their owners. 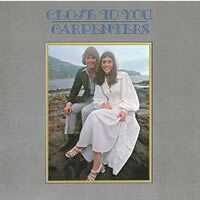 "Close To You" chords and lyrics are provided for educational purposes and personal use only.